Reading and share top 1 Margaret Butler famous quotes and sayings. 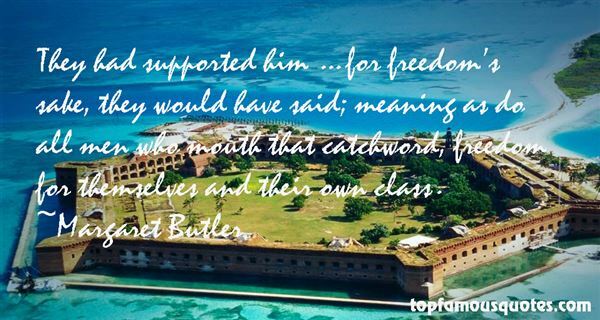 Browse top 1 most favorite famous quotes and sayings by Margaret Butler. Use the words that live inside your head. And if the words that live inside your head are those of a sentimental Victorian troubadour, then please close your head in a door jamb until you kill all that overwrought prose in an act of brain damage."